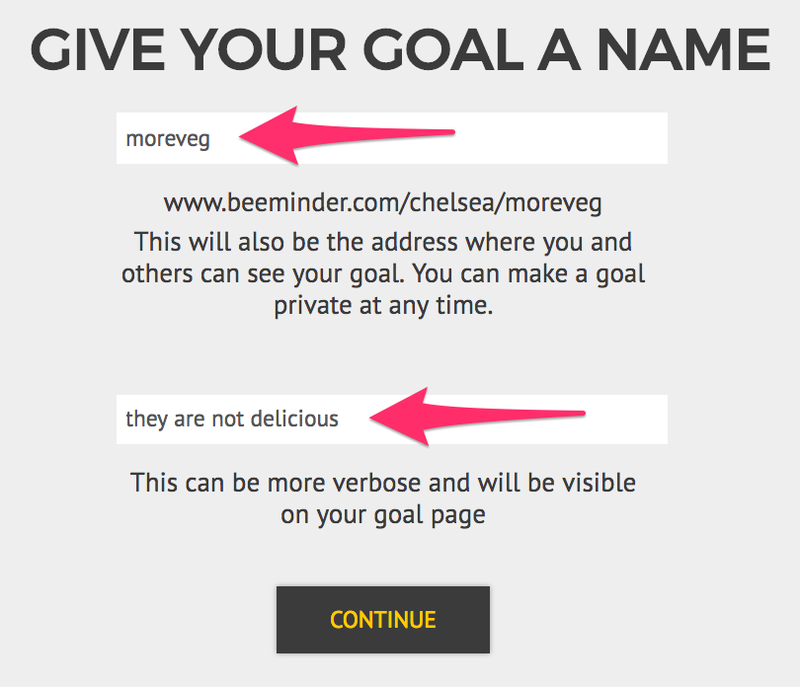 Unfortunately, there's not yet a magical app that will automatically track and verify your vegetable consumption, so we've got to use a manual-entry goal to beemind this. Fortunately, that's a pretty straightforward setup! First, you'll want to decide the metric you care about most. Do you want to get really specific with your food scale and beemind how many grams of vegetables you eat? Or maybe you're more relaxed and would rather just estimate servings without measuring precisely. This will dictate the type of goal you set up and how you enter your data, so try to pick a metric that'll be useful, but not too difficult to track. 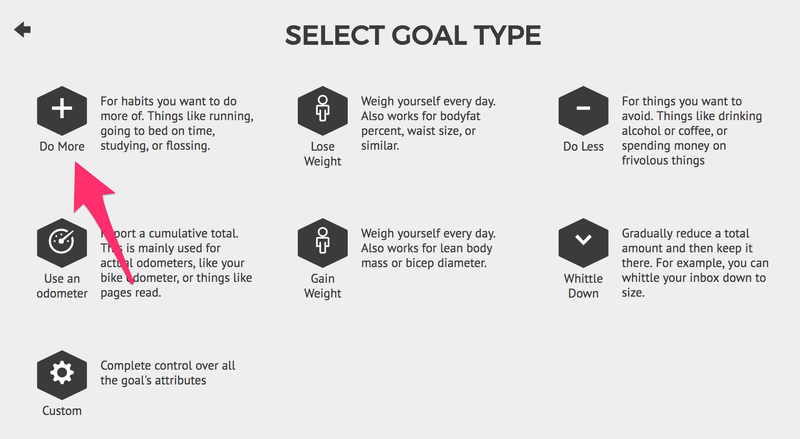 Select Do More as your goal type (because you want to Do More vegetable eating). Enter the units you want to use and the amount you want to commit to. 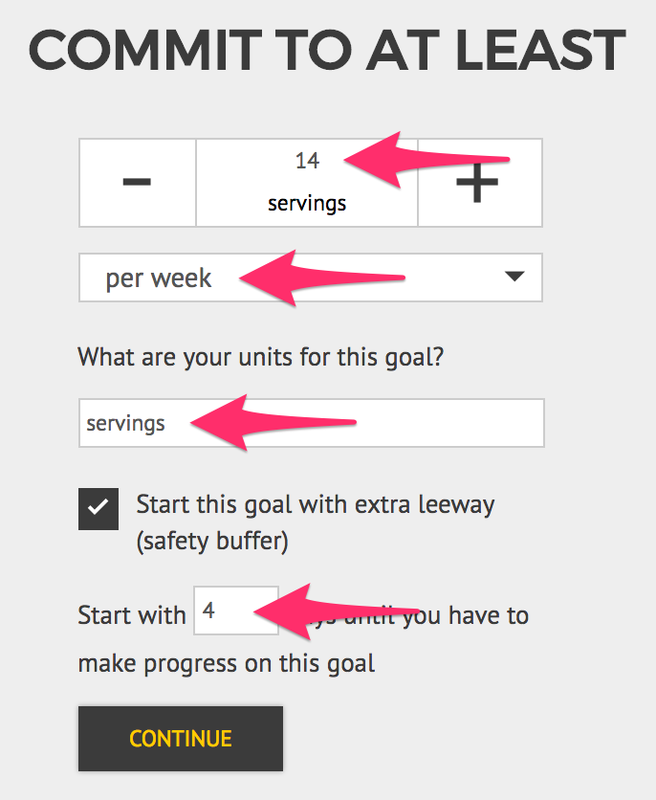 In this example, I'm aiming to eat 14 servings per week, which is the same as a goal to eat 2 servings per day. And now my goal is ready to go! 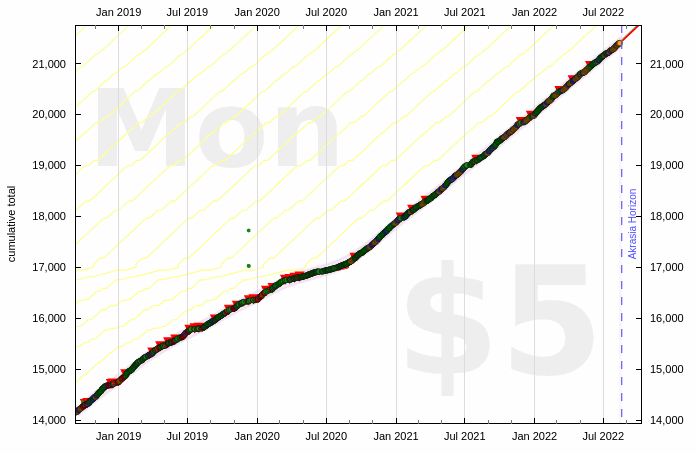 I'll need to get stepping in 4 days to avoid paying Beeminder my first $5! 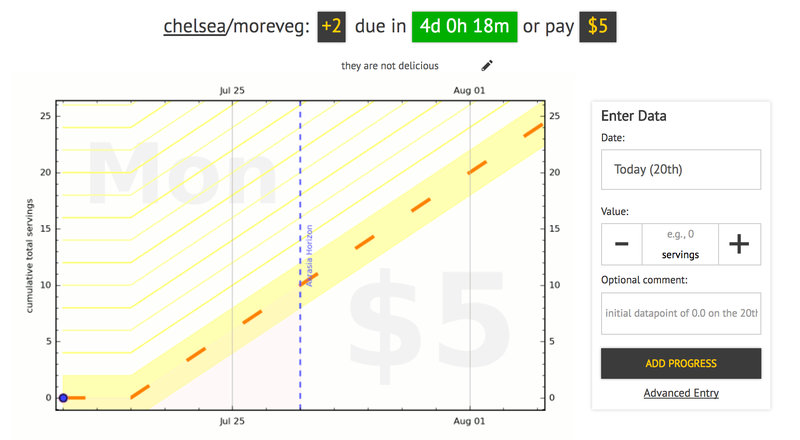 You can explore a real user's healthy-eating goal below to see how your goal might look once it's been going for a while.